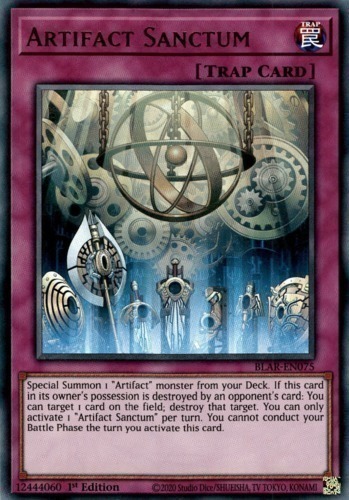 Text Special Summon 1 "Artifact" monster from your Deck. You can only activate 1 "Artifact Sanctum" per turn. You cannot conduct your Battle Phase the turn you activate this card. If this card in its owner's possession is destroyed by an opponent's card: You can target 1 card on the field; destroy that target.